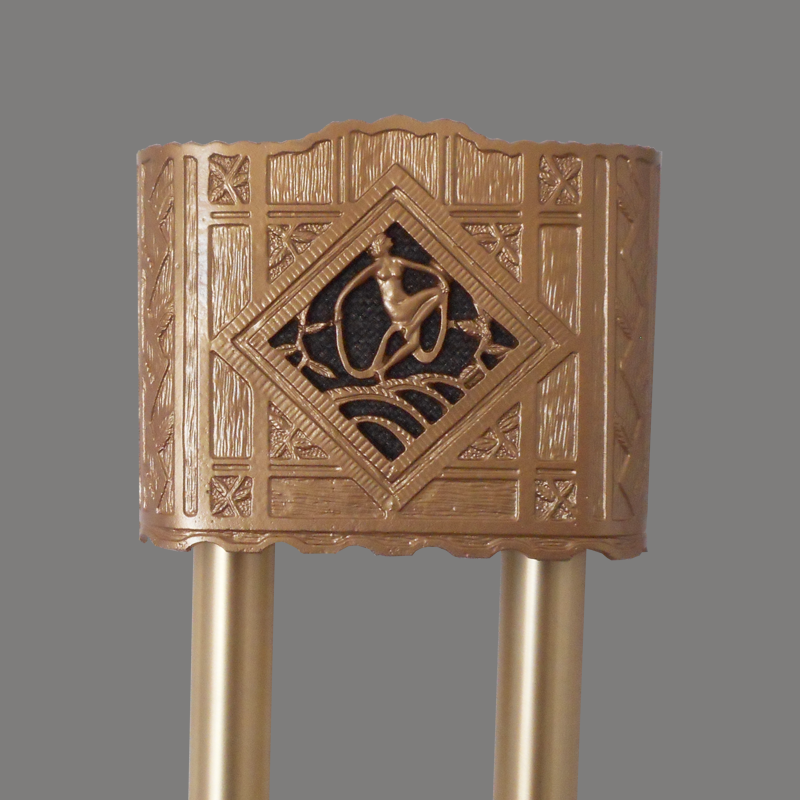 This Chime marked AMPGO is presumed to be manufactured by Pryanco because of it’s resemblance to their other cast cover chimes. 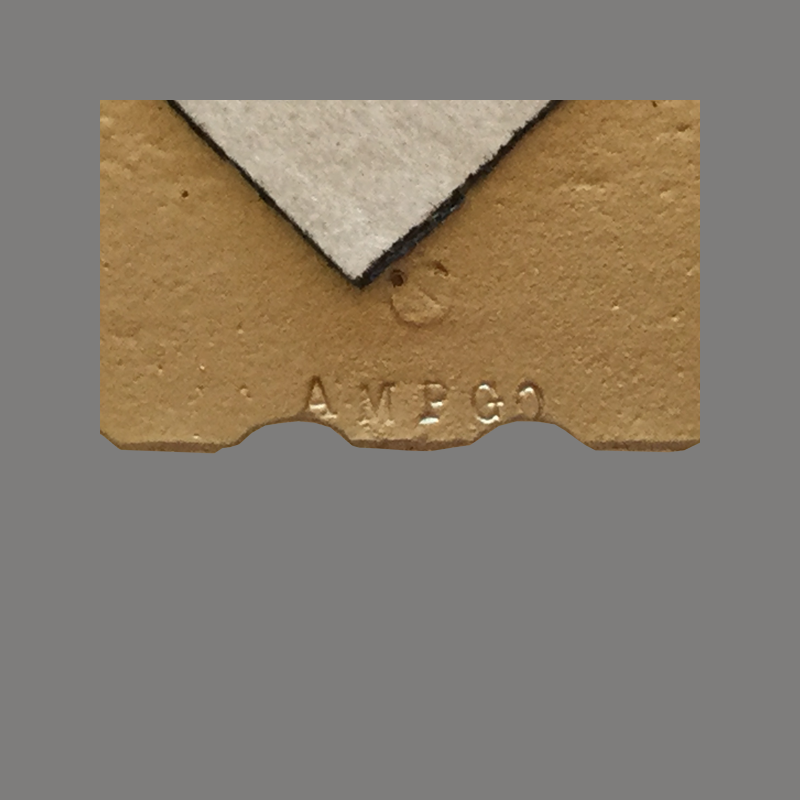 Perhaps AMPGO was a private label or merely some code in the mold. This cover is not shown in any known Pryanco Catalogs or ads. When sent to the Museum, all that remained was a fabulous art deco stye cover under several layers of latex wall paint. The Museum built a new mechanism and manufactured two new bells to factory specification. The cover was resprayed in the original bronze color. The black grill cloth is a modern addition. Pryanco was a large supplier of door chimes in the Western United States before being absorbed by Rittenhouse in the 1950s. Please contact the doorbell museum if you have further information about this chime. Cover Cover: Cast Aluminum with bronze paint. Tubes: Brass. Notes Restored for Homeowner in Long Beach, California/ Cover refinished. New mechanism and bells manufactured by ElectraChime to replace lost parts.